Does the Tree Measure Up? Christmas tree height is a major factor when considering a holiday centerpiece – artificial Christmas trees are available in so many different shapes and sizes that you’ll almost never run out of options. Measure the height of your ceilings to help you decide how tall your tree should be. The top of your tree should not touch the ceiling and must leave at least six inches of space. Most homes have ceilings that are 8 or 9 feet high, making 7 ½-feet trees a common choice. Don’t forget to take tree toppers into consideration as well. When choosing the perfect tree height, add a few inches to give space for your family’s favorite tree topper. 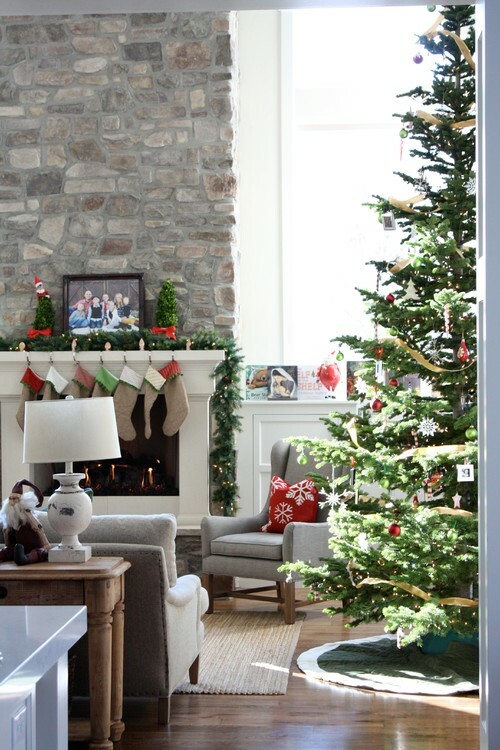 You should also consider how big your space is so you can determine where to place your tree. A Christmas tree’s diameter will determine how much floor space it will take up. Measure the tree at the bottom or its widest point to determine its diameter, and ensure that the tree is at least six inches away from any nearby walls or furniture. Christmas trees come in many shapes to accommodate different types of spaces, whether you need a full-size tree, a narrow tree, or a pencil tree. What Color Am I Looking for? 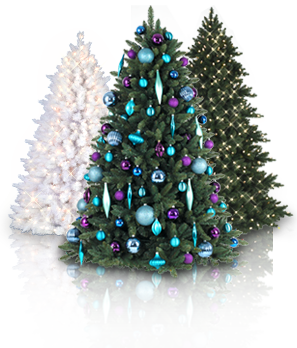 Artificial Christmas trees have opened up a myriad of possibilities through a variety of colors and styles that match different holiday motifs. Variety is the name of the game this holiday season as you explore a world of color through your Christmas tree. Choose a white tree for a winter theme, or a golden tree as a symbol of the season’s abundance and prosperity. Whatever your chosen décor theme for the holidays, there’s a Christmas tree that matches. What Type of Foliage Do I Want? No matter how cutting-edge its features are, a tree is almost always measured by the look and feel of its foliage. Many artificial Christmas trees use PVC needles because of their versatility. PVC needles allow manufacturers to create needles of varying thickness, which they then layer together to provide density to a tree. For those looking for realism in their trees, many go the pine or PE needle route. Although pine needles are also made from PVC, they are pushed through a die to achieve a pine-needle shape. PE needles preferred by many due to their lifelike qualities. They use Polyethylene (PE) technology to create realistic-looking artificial evergreens. At Christmas Tree Market, we offer a number of trees with PE needles, such as the Royal Douglas Fir, Columbia Valley Fir, and Manhattan Pencil Tree. What Lights Should I Choose? The most common Christmas lights used during the holidays are the C7, C8, and C9 bulbs. However, these bulbs have a tendency to overheat and burn out easily, which is why many prefer to use LED lights. These lights are eco-friendly, power-efficient, and are made to last for a long time. Emitting minimum to no heat, they are the safest choice because they don’t overheat and have almost zero chance of burning out. Christmas Tree Market offers a wide selection of pre-lit artificial Christmas trees with LED lights. We also have pre-lit trees with warm clear lights and colorful multi lights. Clear lights allow for a simple, neutral look that works well with colorful trees and most décor themes, while multi lights add a festive pop of color to white trees and lightly decorated green trees. All lights are UL®-approved for your safety and convenience. When choosing a tree for your home this Christmas, keep in mind the specific features you are looking for to make your artificial Christmas tree search as quick, easy, and enjoyable as possible. Picking a tree can be challenging, especially during the Christmas rush, but all the effort you put in it will be worth it once you gather your family around that beautiful Christmas tree you all chose as your holiday centerpiece.